We're very honored to have received some super cool awards recently. We were given THREE from some of our bestest friends and we're really excited to pass them onto even more friends. You've probably seen them a lot being shared around the blogosphere, but that doesn't make them any less special to those receiving them and those giving them. First, we want to thank our friends who gave us these awesome awards. 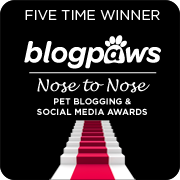 We received the One Lovely Blog Award from Kizzie Cat. We love Kizzie and her human Julie. They have a beautiful blog with gorgeous photos and something they call "What's the Word" which inspires many of their posts. 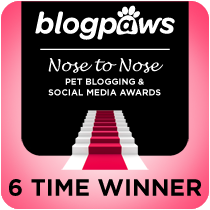 Sheba from My Dog Sheba's Life Story (yes, you read that right...DOG) awarded us with the Very Inspiring Blogger Award. Sheba is a Dogue de Bordeaux and Rottweiler cross, which sounds very regal and strong. He's a talented blogging Brit and lives across the pond with his cat, Cody. Do you think he woofs with an accent? Layla from Cat Wisdom 101 gave us the super cool Illuminating Blogger Award. We think Cat Wisdom is pretty illuminating and we are very flattered to receive their recognition. 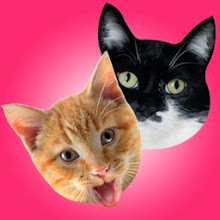 Cat Wisdom 101 is a wonderful place for humans to learn everything from the serious to the silly about us cats. Even though I'm way past 101 and well on my way to Advanced Cat Wisdom, I still like to visit so that I can quiz Glogirly on what she's learned. And correct her on what she's screwed up. The only requirement of winning is a smile. 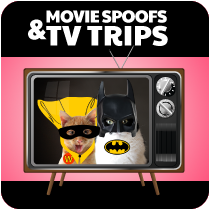 Some winners may choose to share 7 not-so-secret secrets and pass the award onto more friends. Some winners may also choose to do a happy dance. All of the above are considered optional. 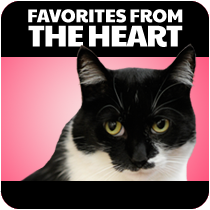 Just this week we were named one of the Top 25 Cat Blogs by Bel-Rae V-E-T Tech! I'm a little concerned that a V-E-T tech school even knows who I AM. In fact I've been napping with one eye open ever since I heard the news. Thank COD they are in Colorado and a long, long way from the townhouse. 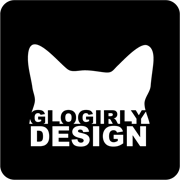 Glogirly says I should be humble and gracious and recognize all of the other really cool blogs that we are on the list with. I don't remember seeing humble and gracious in my Cat Handbook. Can anyone help me out here? You can check out all of the great blogs on Bel-Rae's Blog. I think you'll recognize a few. Congratulations to ALL of the blogs! Congratulations on your awards. 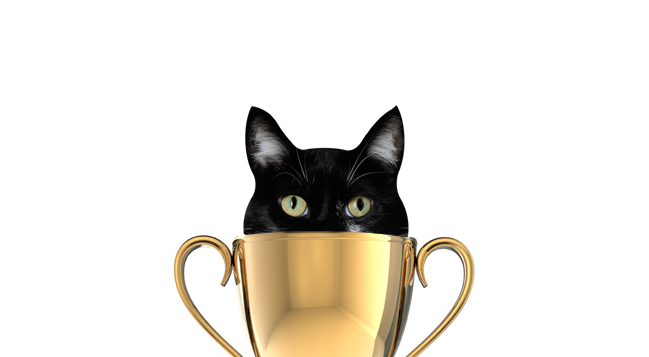 We read about your recognition as one of the Top 25 Cat Blogs by Bel-Rae V-E-T Tech. That's fantastic! Thank you for giving Pricilla an award. I will tell her in the morning. I am sure she will do the goat dance of joy. Congratulations to you on all of your awards. 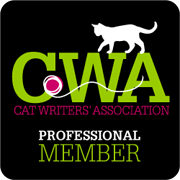 Congratulations on your awards and being named one of the Top 25 Cat Blogs. Congrats on all the awards! Thank you for the Illuminating Blogger award! Woo Hoo! concats on all of them! Well, concatulations to both of you and thank you fur the lovely award. It might be next week before we get to it. The modem died and we did NOT do it! Concatulations on all your awards, Katie! 2012 is really your year! You are sooo worth them ! 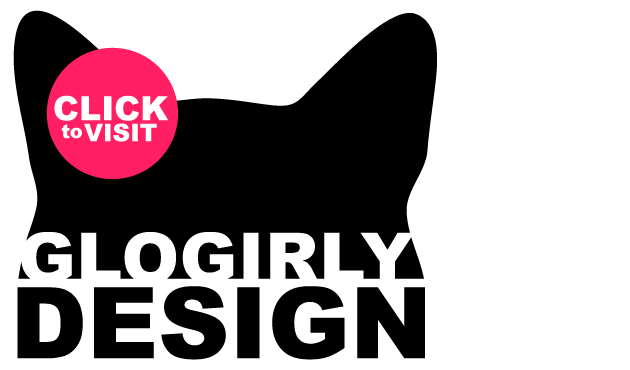 Thank´s for giving me the One Lovely Blog award ! Congrats on all of your awards and making the Top 25 list. We agree with you on the aluminum foil Katie, it is evil. Congratulations on all of your awards! You're so popular Katie! but then again you already knew that. Now if Austin and I could just get ourselves onto the same page with regards to attitude, we could both thank you quite sincerely for passing the Illuminating award on to us!! I'm looking at him hard ..... he's licking his ... errrr tock!!! Catgratulations on all your awards Katie - you so deserve all of them. Now, what is this about going nose to nose with a DOG! I'm surprised! I hope you left him a little ummm... surprise on his nose - like a nail point! he he Just teasing you Katie cuz you are so cute. Wow, Conga rats on all those awards. Good for you and your sure deserve all to them. You really do such a good job on your blog. Love all your answers and so well put. We are impressed. That's a lot of awards and acc-o-lades, Katie! They are all well deserved. Congrats! nose to nose with a dog? i guess i won't be messin' with you. Dear Katie! Concatulations on all those awards! Is your Cabinet overflowing? Does Glowman has to build yous a new one? And Thanks yous for gifting me the One Lovely Blog Award! Me is just so excited! Me is going to goes and puts it in my award case right now and then go and gloat over Kozmo! Me is so happy that everybody knows how special yous is! Congratulations on a wealth of good news and well deserved awards! And thank you for sharing the "Very Inspiring Blogger" award with me. I hope I can inspire more people to enrich their lives by adopting cats! Not you Katie, don't worry. Some cats need to be only children. Wow - this has been a great couple of weeks for you Katie! You got lots of awards and got to dress up - which I know was the most special thing! Big congrats on all your awards - that's a lot!! 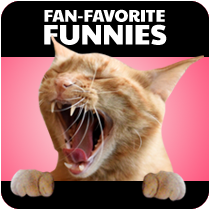 OMG YOU ARE FUNNY!!! First...CONCATULATIONS on ALL of your awards...even the Vet Tech School one!! OMG your honesty pertaining to that one was hilarious!! I saw that too and was like "A VET School? Huh??? Who voted?" But...acknowledgement is acknowledgement and you deserve it no matter what (as did a number of them mentioned in that list!!!) CONCATULATIONS!! 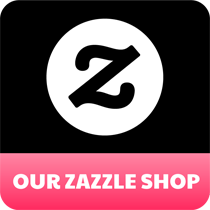 We are super flattered but are too lazy to blog about it again! We can't get past the idea that you have a salmon safe. . ..
Congratulations on your awards!! 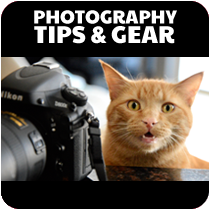 And be one of the top 24 cat bloggers, it is so amazing!! Congrats on all of your awardies! And I know of another one that was just announced that you were nominated for, too (a Petties!). My very first award!! Concats! Katie I loved your modeling session you have style and flare no wonder you got so many awards this week. Also a pettie you might want to convince Gloman and Glogirly to give you a shelf for all those awards. Concatulations on all the wonderful awards Katie and thank you for giving us an award as well. We'll post the award shortly. Moki The Wobbly Cat & Mom C.